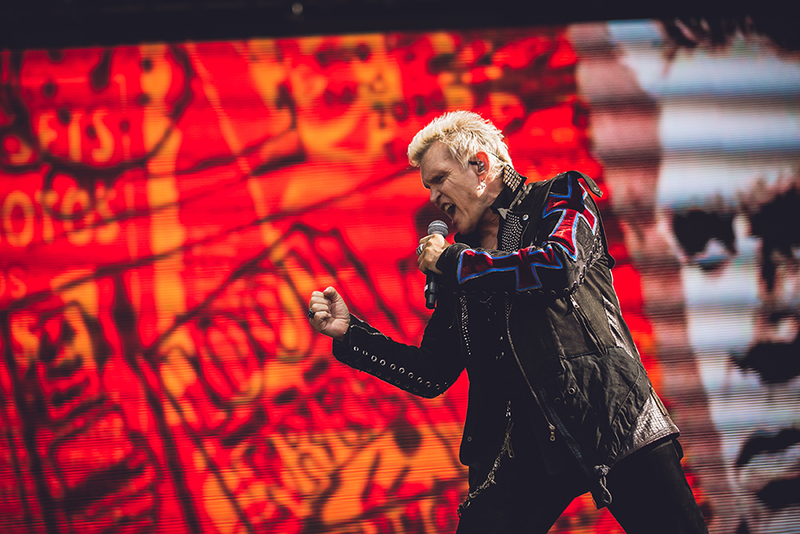 2018’s BottleRock in Napa Valley, was the festival’s sixth year running. The weekend quickly sold out to 120,000 attendees for an unforgettable Memorial Day celebration. The line-up is one of the most eclectic you can find. 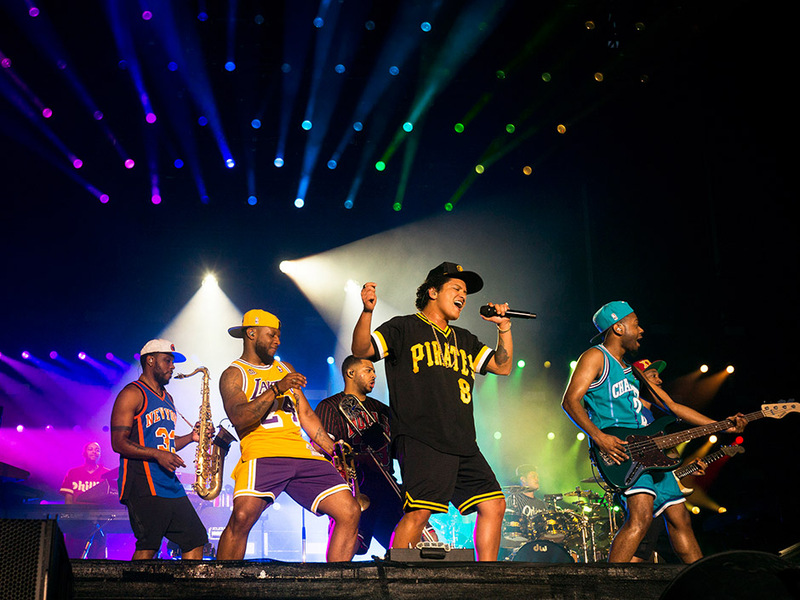 Aside from the main acts of Muse, The Killers, and Bruno Mars the festival has everything from hip-hop like Snoop Dogg to funk like Duran Jones & The Indications to blues rock like Hamish Anderson. 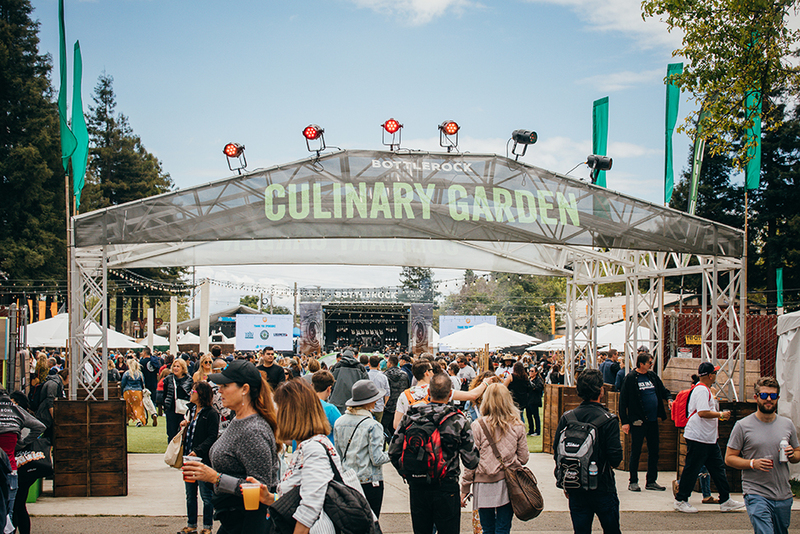 But put all the phenomenal music aside, BottleRock also has a major focus on curating celebrated chefs and bringing in world renowned brewers, distillers and vintners. The festival holds 5 stages of music and on top of that adds a culinary stage where you can find, Giada de Laurentiis and Halsey cooking pasta together. There is also a VIP acoustic stage that hosts acts like SOJA and Allen Stone breaking down their sets for a some much needed shade relaxation. BottleRock strives to provide comfort for their guests – something tough to find at places like Coachella or Bonnaroo, where tens of thousands crowd in on each other in the blazing heat. This year’s Napa gathering had even more areas to relax and watch you’re favorite bands, with additional shade areas and improved grass lawns. They’ve even upped their production a fair bit since 2017 as well, bringing in larger stages, and significantly improved backdrop screens for a better AV experience for all. While many festivals have taken a step or two back in recent years, BottleRock continues to thrive and gain traction as one of the most sought after 3 day fests in the US. The Williams Sonoma Culinary Stage, was an impressive standout. Although, not always knowing who’s who, it became quickly apparent that most of these people ons stage could be found all over the Food Network or had their own TV special. People like Masaharu Morimoto, Graham Elliot, Richard Blais, Aarón Sánchez and Dominique Crenn graced the stage with other celebrities and musicians like George Lopez, Shaun White, Barry Bonds and even the Harlem Globetrotters. Here are some of my 2018 awards. First of all, to see this name on the line-up was a shock. Where have these guys been? Is it the original line-up? 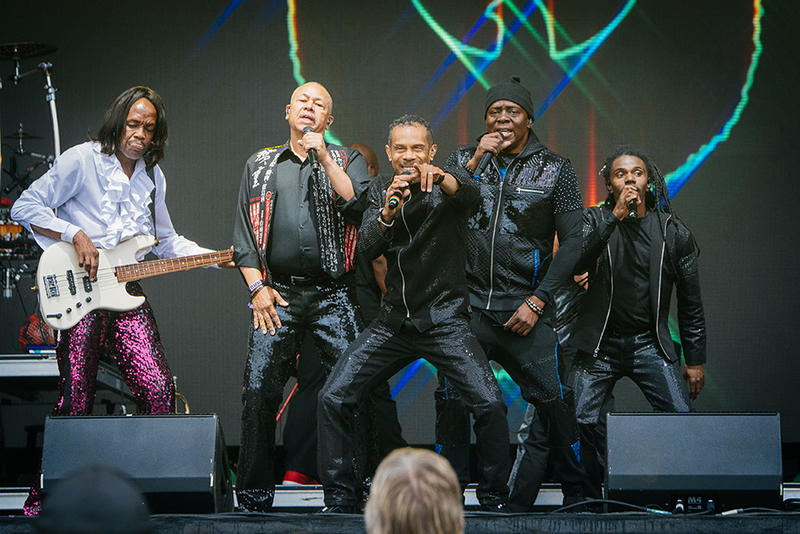 Earth, Wind & Fire, no matter what age they are now, brought the house down. Whether BottleRock-ers recognized them at first or not, they definitely remembered who these legends were when “Shining Star” came on and again when the infamous “September” got everyone remembering all the lyrics and dancing around like animals. In a time when retro is cool, what’s cooler than bringing in one of the world’s top selling musical groups from the ’70s? Haven’t heard of them? I think you will soon. The six piece band from Birmingham, AL blends southern soul, blues, and funk rock. The band is fronted by Paul Janeway, who has a voice of (dare I say) an angel. Paul’s band is tight and groovy and offers up a very feel good set, featuring a full horn section that can really belt it out. Josh Ostrander’s intoxication lo-fi pop songs have found themselves in a big light this past year. He’s had many of his songs including, “Shine On” and “Automatic” find their way to tastemakers of KCRW and NPR. In Napa, Ostrander and his band tore up the Midway Stage to a hot afternoon crowd. They even did a cover of The Verve’s “Bittersweet Symphony,” which had Ostrander running in circles in stage, getting everyone to sing-a-long. 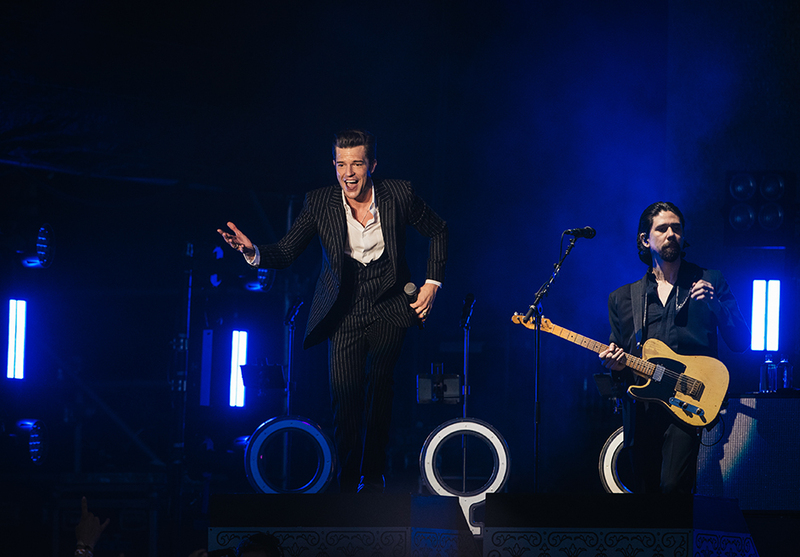 While Snoop Dogg was tearing down the other stage, Brandon Flowers and his band brought an incredible vibrant energy to their headlining performance. Of course, the seasoned veterans have done this many times before but they still spare nothing each time they perform. Flowers has the charisma of a gentleman while bursting through hit after hit, each one more memorable than the last. The band stirred through songs both old and new without seeming to stop much to catch a breath. Dare I say that it seemed as if the pop singer was lip-syncing? I won’t go as far as accusing her of doing so, because I don’t truly believe it. But lets just say this afternoon set was less than underwhelming. The production was off or intentionally very minimal, she seemed to be playing songs at half tempo and even told the crowd they “must be tired.” To cut her some slack, she later tweeted she had an asthma attack or something of the sort, but we may never know what really went on. Thievery always has an entertaining show, but the real treat was getting to catch them at the late night after party in Downtown Napa. After a great opening DJ set from Bay Area radio host, Aaron Axelson, the band played for nearly 2 hours without slowing down. Song after song they brought out a guest vocalist or rapper or instrumentalist, as if they held a never ending cycle of talent. Rob Garza and Eric Hilton know how to have a great time on stage and the crowd can feel it. Their set incorporated a bit of everything from electronica to hip hop, bossa nova to reggae and funk. Talk about young guns becoming rockstars. The Wrecks, led by frontman Nick Anderson were reminiscent of a young The Killers, The Strokes, Weezer, or Vampire Weekend. This 5-piece mashes catchy choruses, with blazing guitars from both Nick Schmidt and Western Weiss met with the hard-hitting drums of Billy Nally. Their most recent EP, Panic Vertigo, will show you exactly that. The band has already toured with The Hunna, Night Riots, and Nothing But Thieves. 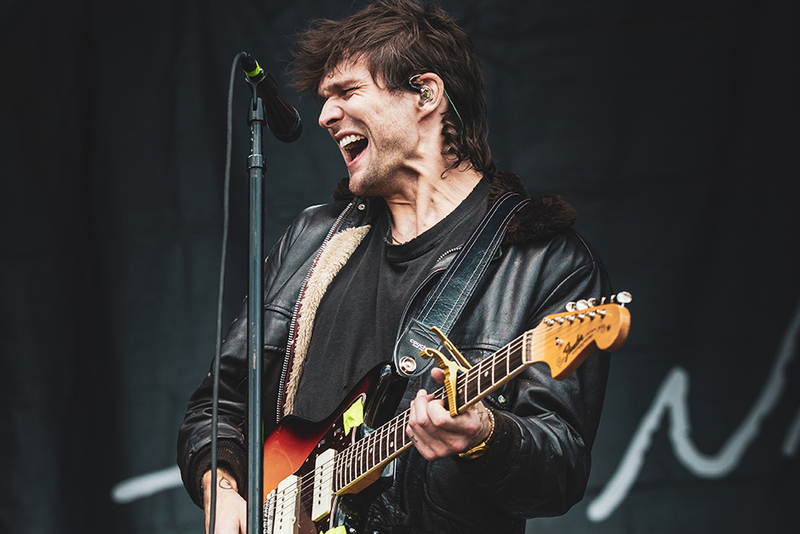 The Night Game’s frontman, Martin Johnson, comes out swinging. Johnson’s new project is already touring with John Mayer and he have collaborated with Gotye and Kygo. The music provided a wash of lush synths and guitars met with arena rock drums and chanting, catchy choruses. His new song “American Nights” is out everywhere now and the debut album is expected September 7. Judging by the vast appeal of his songwriting, I think we’ll start to hear a lot more of Johnson this summer and through 2018. A surprise highlight at the festival was stumbling upon BottleRock setting a new Guinness World Record. As we were strolling by the Culinary Stage, there appeared to be a colorful drink on stage in a glass bigger than 7 feet tall. Turns out, Snoop Dogg, Warren G and Top Chef, Michael Voltaggio decided to concoct a 550-liter Paradise cocktail – which was a tribute to Snoop’s 1994 hit ‘Gin and Juice.’ The trio managed to set the record for world’s biggest cocktail, and yes, they were drinking from it. The culinary portion of BottleRock is where the festival really sets itself apart. If you are able to shell out for VIP or Platinum experiences, that holds true even more so. The Platinum VIP ticket offers an open bar in areas that come right up to easy viewing risers of the stages and cocktail servers who tray pass small bites to keep you fueled up. The owner, Kendra, makes the most amazing grilled cheese you can find around. It’s one of those things that you might at first think a grilled cheese is a grilled cheese – but you’d be sadly mistaken. There’s something magical about the way these are made, from the grilled bread right down to the light side salad on every plate. Each ingredient is locally sourced from areas near Sonoma and San Francisco. Kendra can be found at Bay Area Farmer’s Markets at the Marin Civic Center and San Francisco Ferry Building or you can keep track at what event or festival she’ll be at next here. Runner up was local favorites, Mustard’s Grill, who’s signature Pulled Pork Nachos had mouth’s watering in the back of their packed line. The booth at BottleRock is a small chapter of what they offer at their Napa restaurant, which offers upscale Californian dishes that you don’t want to miss. It’s a rarity to find one of Oregon’s finest brewers in Northern California, but for a special weekend they decided to make the trip. Hop Valley had a number of great brews flowing throughout the festival, one of the crowd favorite’s being the refreshing Citrus Mistress IPA. The festival’s beer garden was on par with something you might find at a world renowned beer festival but pair it with music and all the other delights and scenes, you’ve got something really special. Oh and did we mentioned that all of Hop Valley’s cans were coming with a free koozie? This winery is a force to be reckoned with, both on the sauce and off. JaM Cellars has famously set up a place where you can taste their wines and find tons of the festival’s lineup playing stripped down or B-side sets at the JaMpad sage. All weekend long the winery offered up many choices of delicious wines paired with guest appearances, jam sessions, and dance parties with people like Michael Franti, The Struts, Magic Giant and Bleachers. I also was given the opportunity to get some first-hand info from artists at the festival. I spoke with Martin Johnson (The Night Game) and Hamish Anderson to get some of their take on the festival. CC: If you could have any super hero power what would it be? HA: I’d have to say flying or being able to teleport. I’m not the world’s biggest fan of aeroplanes and being trapped on long flights so being able to just fly somewhere or teleport would really come in handy! CC: What’s the best part of BottleRock festival to you? Did you see anything particularly memorable / crazy / interesting? HA: What was really memorable was how engaged the audience was. A lot of times at festivals it can be hard playing to big audiences when there are so many other things going on. At BottleRock during my set (and every time I saw another artist play) the audience was right there with me – so energetic and into it, that was really awesome to experience! MJ: We got to see Snoop Dogg and it’s really incredible what he’s done. It’s almost like musical theatre the way everything is choreographed and some of the outfits. I typically dislike weed and weed culture but he takes it to an almost sophisticated level. CC: How does it compare to other festivals you’ve played? HA: Compared to other festivals I think it definitely has the most eclectic line up, which is a great thing! It’s got everything from Rock to Hip Hop to Dance and Pop Music, so it really does have something for everyone. MJ: I’ve been out of the festival game for a minute so a lot of it is really new again. 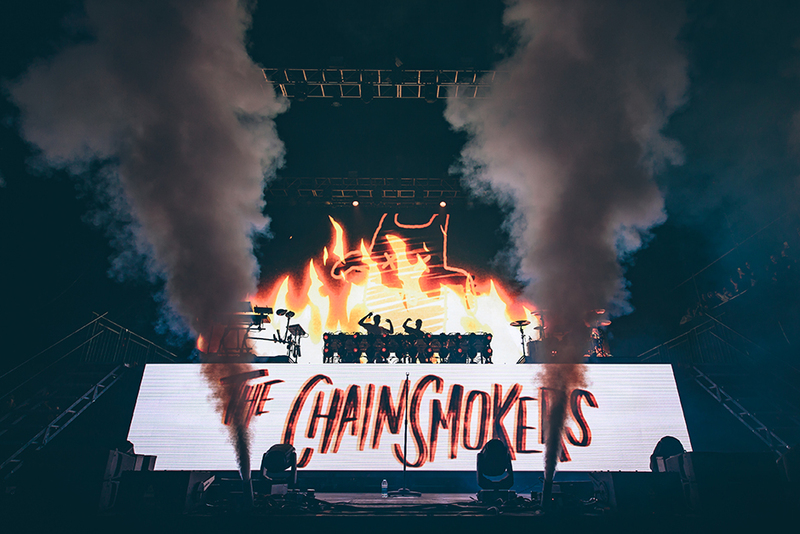 There’s so much more line-blurring between genres that a festival can have Snoop Dogg AND The Night Game on the bill and it feels totally natural. Also they had ice backstage which is honestly all I care about. CC: If you had to choose anything besides being a musician, what would it be? HA: I would definitely still be wanting to do something to do with arts and music. Maybe being a producer or even composing music for film. No matter what, it would have to involve music in some way. MJ: A cop. A really good cop. Not a detective either, but like, a cop walking a tough beat, doing the right thing and probably with bad indigestion who chews nicotine gum and sighs a lot. CC: Growing up, what was one band or artist that steered you the most towards being a musician? HA: Definitely, The Beatles. They are the reason I started playing guitar, writing songs and singing. To this day, I’m just blown away anytime I listen to a Beatles record and just how incredible and inspiring their body of work is. MJ: Paul Simon. More specifically the Central Park live CD. I must have listened to that CD 1700 times since I was 4 years old. What an accomplishment to make music that speaks to children who don’t even understand the words but also has depth and layers to it that I still feel like I’m too young to understand. CC: Have you had any really embarrassing moments on stage recently? HA: At a festival in The Netherlands, in front of about 2,000 people (not including the live stream audience), my pedal board suddenly decided it wanted to die and my guitar sound cut out. Luckily it was in-between songs, but I was frantically pulling apart pedals and cables on stage trying to find out what the issue was. It was all live streamed as I mentioned, so the cameras were right on my hands while I pulled everything apart. Thankfully, it didn’t take too long until we could continue the show. It was a close call and one of those moments that feels like its a bad dream you’re hoping to wake up from! CC: What is the hardest part about touring for you? HA: Honestly, sometimes all the parts of touring that can be hard (not seeing friends and family for months, running on little sleep, having to drive endless hours, eating fast food at crazy hours) however, I don’t really feel like I can complain about any of it. I feel really fortunate anytime I tour because I get to do what I love and that’s all I want to be doing. So really, any of the issues I have with touring disappear, I’m just happy to be able to do what I love. CC: BottleRock has a big focus on food. What food do you need to always have with you on the road? HA: The food at BottleRock was insane, seriously some of the best I’ve ever eaten! They really incorporate the culinary aspect of the festival well for the artists backstage which was great. For me beef jerky is a must have on the road. I’m always way too nervous before a show to eat an actual meal so beef jerky is something I can snack on before or after a set to keep me going! As it stands a 3-day blend of music, wine, food, craft brew, spirits and hospitality like this can only be experienced at one place. Napa Valley offers a beautiful backdrop to a great festival, the weather in Northern California is hard to beat at the end of May. There really aren’t many bad things to say, so I was excited when the organizers announced that BottleRock Napa Valley will return May 24 – 26, 2019.